DESCRIPTIONWould you like to help U.S. Intelligence Community agencies implement innovative cloud computing solutions and solve technical problems? Would you like to do this using the latest cloud computing technologies? Amazon Web Services is a dynamic and rapidly growing business within Amazon.com. We are building some of the largest and most complex distributed systems in the world, and we need world class people to help us implement and operate them. We provide organizations with talented engineers, that allow them to innovate faster and operate their software more cost-effectively. These services-in-the-cloud include on-demand compute capacity, storage, content delivery, querying of structured data, message queuing, and more. 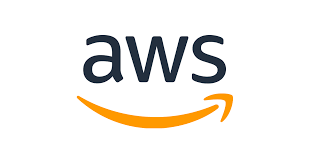 The AWS Intelligence Initiative team is building and delivering the next generation of cloud computing that supports public AWS offerings like S3, EC2, and CloudFront for AWS Government Cloud Solutions. We are innovating new ways of building massively scalable distributed systems. The AWS Intelligence Initiative team is looking to hire highly motivated, hands-on engineers with a drive to learn. We have high standards for our computer systems as well as our employees: our systems are highly secure, highly reliable, highly available, and must function at massive scale; our employees are super smart, driven to serve customers, and fun to work with. On a “typical” day, support engineers might deep dive to root cause a customer issue, investigate why a metric is trending the wrong way, consult with the top engineers at Amazon, or discuss radical new approaches to automate operational issues. The ideal candidate thrives in learning and operating complex systems, diagnosing and resolving the hardest corner case problems. You are fast on your feet and excited by the challenge of working in a hyper-growth environment where priorities shift quickly. This is an opportunity to operate and engineer systems on a massive scale, and to gain top-notch experience in cloud computing. You'll be surrounded by people who are smart, passionate about cloud computing, and believe that world class service is critical to customer success. You will become an AWS Services platform diagnosis, response, measurement, and automation expert. You will support and simplify the operational scalability that sustains the platform's insane growth. You will measure your success and it will be visible. * Would like to gain a deeper understanding of AWS service teams, capabilities, and functionality. * Are interested in creating tools and automation that enable engineers to be as “hands-off” as possible. * Have a “Think Big” mentality that empowers you to think outside of the box. * Regularly seek simple ways to approach complex issue or processes. * Explore the inner workings of AWS and how its services communicate. * Engage other AWS engineers world-wide to deploy, configure, and troubleshoot 150+ services. * Express your creative, innovative ideas to make our team even more awesome! * Provide invaluable support to the U.S. Intelligence Community. Successful candidates will join an elite engineering team, provide troubleshooting and operations support, and innovate to replace operational tasks with scripts and code. If you are a talented, detail-oriented and enthusiastic professional who is passionate about providing exemplary customer service, eager to learn new technologies and have a desire to support the critical work of the U.S. Intelligence Community, this position is for you!BASIC QUALIFICATIONS* Bachelor’s Degree in Computer Science, Engineering or a related field, or relevant work experience. * This position requires that applicant selected be a U.S. citizen and obtain and maintain a TS/SCI US Government clearance with polygraph. TS/SCI eligibility is not required to start; however, the applicant selected will be subject to a Single-Scope Background Investigation (SSBI) and must meet eligibility requirements for access to classified national security information. Applicants with a current SSBI, SBPR, or PPR, may be eligible for crossover in accordance with ICPG 704.4. * Understanding of networking protocols, such as TCP/IP, HTTP, DNS, and TLS.